The first anatomically modern humans almost certainly arrived in southern Asia within the last 70,000 years, having dispersed as small groups of pioneer settlers along coastal regions from Africa, say UK scientists. The first anatomically modern humans almost certainly arrived in southern Asia within the last 70,000 years, having dispersed as small groups of pioneer settlers along coastal regions from Africa, say British scientists. But another expert has disputed their proposal, saying there is still too little evidence to say for certain how humans dispersed into the region. Using a combination of genetic and archaeological evidence, scientists led by University of Cambridge archaeologist Professor Paul Mellars and geneticist Professor Martin Richards, from the University of Huddersfield, say modern humans left eastern Africa sometime after 70,000 years ago and dispersed along the coast to the region south of the Himalayas. The research, which appears in the Proceedings of the National Academy of Science , is the latest volley in a heated debate about how, and when, humans spread around the globe. The controversy has been particularly intense when it comes to the southern part of the Asian continent, the authors say. Some scientists think modern humans arrived in the region 50,000 to 60,000 years ago having originated as a small group who left Africa and expanded around the coastlines of southern and southeast Asia. Others think there was a much earlier dispersal of modern humans from Africa sometime before a massive volcanic eruption on Mount Toba in Sumatra, about 74,000 years ago. The latest paper tackles the question on genetic and archaeological fronts. On the genetic side, Richards and colleagues analyzed about a thousand whole-mitochondrial DNA genomes from India. Mitochondrial DNA is inherited down the female line of descent, and can give scientists a very detailed and dated reconstruction of the maternal genealogy, Richards explains. "The new mitochondrial DNA dating tells us that the ancestors of modern non-Africans from throughout the world lived in Africa until about 70,000 years ago, and had reached Arabia by around 60,000 years ago, and South Asia shortly afterwards." From an archaeological perspective, Mellars and colleagues compared artifacts discovered in earlier and later Indian remains. "These remains include bone tools, engravings and personal ornaments, as well as distinctive stone tools. They all appear first in Africa and then later in India, after around 50,000 years ago," says Richards. According to Richards and Mellars, there is no evidence to support the idea that early modern humans colonized South Asia before the Toba eruption. "All of the available evidence supports a much later colonization." "I think the evidence is now pretty decisive," Richards says. But Professor Michael Petraglia, an archaeologist from the University of Oxford disputes Richards' and Mellars' argument. 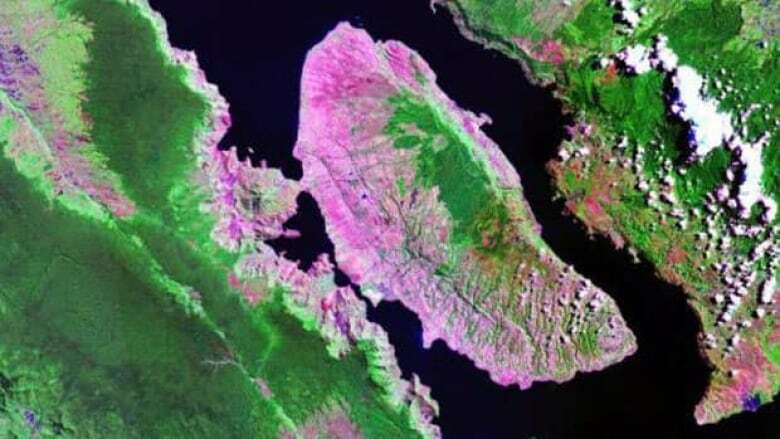 Petraglia says there's not enough evidence to rule out an earlier colonization before the eruption of Mount Toba. "The research reported by Mellars and colleagues is riddled with problems," he says. Petraglia says that the similarity between tools used in Africa 60,000 years ago and those from Asia dating to around 35,000 years ago is not a consequence of direct migration. "These toolkits are separated in time by more than 20,000 years and distances exceeding several thousand miles." He questions the evidence supporting a migration along the coast. He says that surveys of ancient shorelines have not revealed any evidence for human settlements anywhere along the Indian Ocean shore between 55,000 and 50,000 years ago. "Most geneticists will admit that genetic dating of the out-of-Africa event is tenuous, at best. Published genetic ages for out-of-Africa range anywhere between 45,000 to 130,000 years ago."